As anyone who has ever been on a diet knows, the deal on weight loss is never closed. There are many who succeed, but losing weight and keeping it off is a challenge. And unfortunately in the weight loss challenge, failure is an option. Many raise the bar on their efforts and vie for bariatric surgery as a remedy. A great many studies have been done to measure the success of weight- loss surgery, and the sad result is that often times patients gain back most or more of the weight they have lost in the three years following surgery. 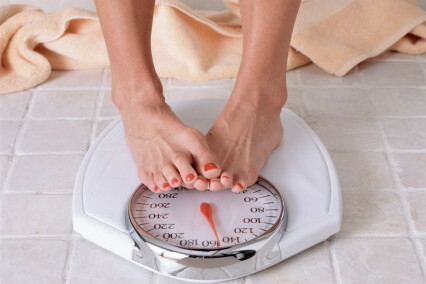 In addition, a good number fall short of their initial weight loss goal prior to regain. Once the weight is regained, patients again face the same health risks they had prior to surgery. But what about it makes it so easy to gain weight back, even after a medical procedure? 3 Main Reasons for Weight Regain Following Bariatric Surgery* ** The main reason for weight regain following bariatric surgery** is simple non-compliance. Patients still have an unhealthy relationship with food that surgery alone cannot fix. They continue to consume high calorie coffees or fruit drinks and try to keep trigger foods in their lives. These food are in great part what led to their obesity to begin with and can include sweets, bread, and alcohol. Trigger foods often do little to satisfy hunger but can create cravings. Successful patients engage a post-surgical lifestyle that is free of trigger foods. ** [Read** ** Bariatric Surgery is a Starting Point, Not a Magic Bullet for Weight Loss**]* ** The second reason for weight regain after bariatric surgery** is that within the first 12 to 18 months post-surgery, weight is lost rapidly and without too much difficulty. Many patients compromise their diet plans and ignore the maintenance suggestions offered by healthcare professionals but continue to lose weight anyhow. Once the body adjusts to its new physiology, the poor habits practiced by patients begin to yield poor results. The healthy patterns of diet and exercise that needed to be developed during the first 12 to 18 months were not, and the end result is failure.